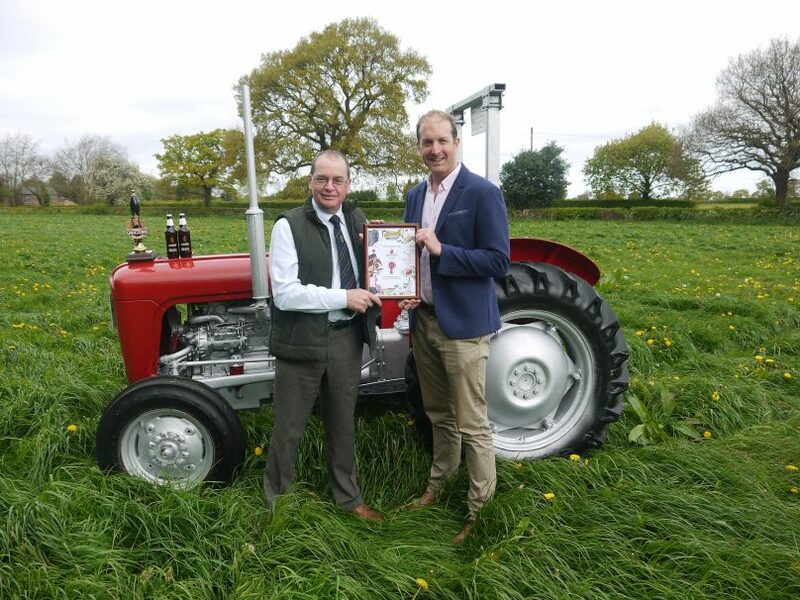 Principal Partners of the Royal Cheshire County Show – Robinsons Brewery – has announced that their legendary Unicorn real ale has recently achieved Red Tractor accreditation. Synonymous with high standards, the Red Tractor logo is the mark of quality, UK produced food and drink from ethical sources, and it isn’t awarded lightly. Products are thoroughly checked against some of the most comprehensive and respected standards in the world. Brewed since 1890, Unicorn is almost as old as the Brewery and is named after the Unicorn pub, which was owned by William Robinson from 1838 and upon the site of which the brewery now stands. Sponsoring the shire horse section, appropriately, Robinsons Brewery has been involved with the show since the very early days. The connection with shire horses dates back over 100 years, when they were employed to deliver the traditionally brewed ales to inns and hostelries across the region. Today the brewery still owns 3 heavy horses – Hopnik, Wizard and Bobek – who are three of the few remaining working shires in the British Brewing industry. The heavy horse section includes over 20 classes from yearling breeding, to tradesman’s turnout classes featuring driving pairs in full traditional kit, across both days promising a spectacular show. The 2017 show will again hold many competition classes for cattle, sheep, pigs and dairy goats, as well as hundreds of classes for light horses, show jumping, rare breeds, poultry, pygmy goats, pigeons, cavies, rabbits and a dog show. For sponsorship enquiries get in touch to discuss your requirements and request a sponsorship pack.